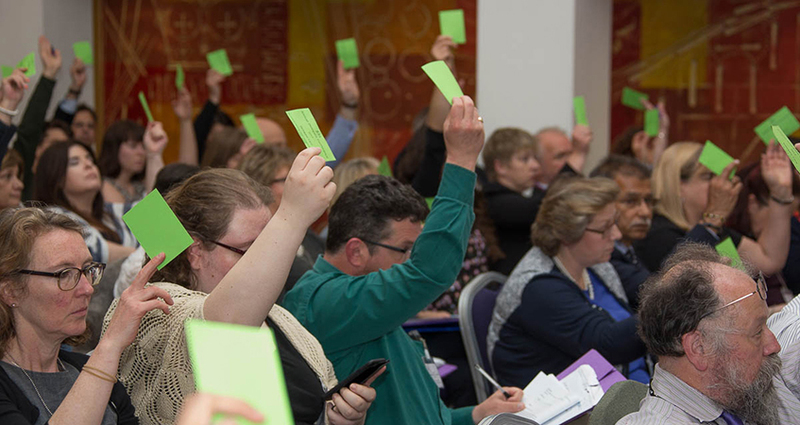 Policies agreed by ADC determine the work of the FDA for the following year, giving delegates a direct influence on the priorities of the union and how it can improve the working lives of members. In addition to shaping union policy, ADC is also a great opportunity to network with other members of the FDA and listen to expert speakers. Guest speakers in recent years have ranged from Frances O’Grady, TUC General Secretary, John Manzoni, Chief Executive of the civil service, and David Walker, Guardian Columnist, all of whom have also taken part in lively discussions with attendees. Delegates are selected to attend ADC through their FDA Branch, so if you’re interested in attending ADC you should speak to your local Branch Secretary or Convenor for more information (if you don’t know who that is, you can find out on our ‘Find your rep’ page) .